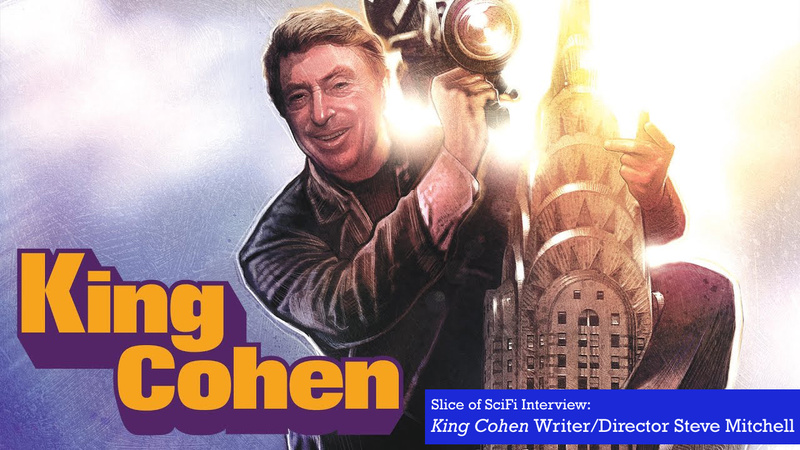 This week, director Steve Mitchell (Chopping Mall) joins us to talk about his documentary King Cohen, about the career of maverick filmmaker Larry Cohen, from his earliest creations like the TV series The Invaders, to It’s Alive, Q: The Winged Serpent, and more. 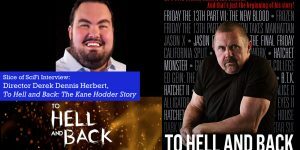 Steve talks about meeting Larry and discovering how extensive his career and creations have been, about interviewing Hollywood talents who’ve worked with him, like Michael Moriarty, Fred Williamson, Joe Dante, Barbara Carrera, Mick Garris, and about his prolific story and screenwriting habits. The documentary won Best Documentary Feature at the 2017 Fantasia Fest, and is in theaters in limited markets (opens in New York on August 3), on VOD and digital now. Which old scifi and horror movies were the first to grab your attention? Let us know! Call 602-635-6976 and leave a message, send Summer an email, or have your say in the comments below! 1. 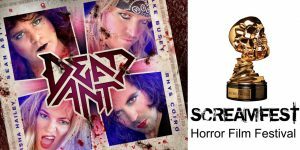 Netflix and Amazon Prime hunt for $0.0 stream version. Get much extra material DVD/Blu0ray prints. 2. And resist getting distracted if Roger Corman results in search. 3. popcorn …… watch movie. Q1 – Cohen ever work with Corman? Q2 – Distribution appears everywhere. MGM, Shout Factory, Showtime, StarZ, etc. Could that be the reason someone like me has who thinks I saw his movies? I — Avoid ‘slasher” movies ‘case I’m not 12 yrs old. I — Don’t watch so called scare jump movies ’cause gimmick is lame. I — Do like a narrow selection of sci-fi horror. Demon Knight, Bordello of Blood, Dreamcatcher, Cabin in the Woods, Hellraiser ALL, Wishmaster ALL, The Prophecy ALL, Sphere, Event Horizon, and some comedy. I noticed far too late (as in about 10 minutes left) that “It’s Alive” was on Comet tonight! !